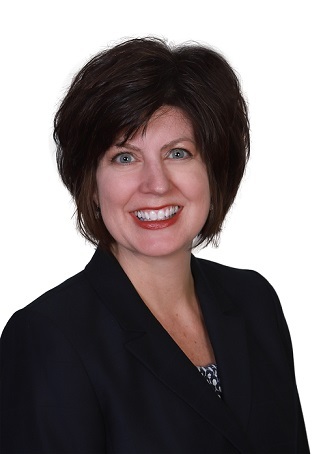 CLEARFIELD – Steve Shilling, executive vice president, private client solutions, recently announced the promotion of Eileen F. Ryan to the position of vice president/director of private banking. The Private Banking division offers enhanced customization and personal service to exclusive clientele served by CNB Bank. Ryan will lead the team with a unique blend of specialized product and service offerings tailored to meet the financial goals and circumstances of their clients. “With Eileen’s experience and proven leadership skills, I have no doubt that she will play an integral role in delivering customized banking solutions to our clients,” Shilling said. Ryan has 26 years of banking experience and joined CNB in 2008 as assistant vice president/mortgage lending. A native of Milwaukee, Wis., and raised in Clearfield, Ryan graduated from the Clearfield Area High School in 1992. In 1996, she earned her Bachelor of Science degree in business administration with a dual major of finance and economics from Shippensburg University. In 2000, she graduated with honors from the Central Atlantic Advanced School of Banking. Ryan continued her banking education by completing numerous workshops and courses offered through the Federal Home Loan Mortgage Corp., the American Banker’s Association, the Pennsylvania Banker’s Association and Professional Bank Services. In 2017, Ryan also graduated from the CNB Leadership Institute. Ryan currently serves as chairperson of Bankers Settlement Services of Southwest Pennsylvania. She is a member of the St. Francis Roman Catholic Church of Clearfield, where she previously served as vice president of the parish council. She also served as a member of the Evangelization Committee and the Deacon Continuum Committee. Ryan has been a volunteer for the American Cancer Society for more than 20 years. She has served as past president, was a co-chair of the Daffodil Days campaign and actively serves as the accounting chairperson for the annual Mr. Gridiron and Relay for Life events.